Venture into the wild. Unforgettable landscapes and unparalleled wilderness surrounds Radius Retreat, north of Radium Hot Springs, BC. Come experience the first ever 'yurt-to-yurt' rejuvenating spa day. Relax, learn, renew and connect while you wander. On May 10 and/or 11, Radius will be offering a full-day wellness experience. Start the day with refreshments then obtain your itinerary & map, and join into one of the group sessions, Forest Bathing or Qigong. Followed by individual, customized sessions with your wellness providers (Yoga, Acupuncture/Healing Oils, Reflexology, Massage and Nutrition). You will have an opportunity to meet with all five wellness practitioners. Mid-day nourishment will be provided, followed by more sessions. The trails are open all day, so you are free to explore on your own, or swing in a hammock or find a secluded spot to read a book. Ending with a wine and cheese reception with Team Radius. Q1 – Are their hiking trails? Q2 – Is there bedding? Q3 – Is firewood provided? Q4 – Are there bathrooms? Q5 – Is there water at the Yurt? Q6 – Are pets allows? The wellness excursion is $450 per person (or split it between 2 people). If you wish to overnight accommodation in one of seven yurts is available (for an extra cost). When we open our hearts in wild places, we allow the rhythms of nature to flow through us. Let nature be your teacher. 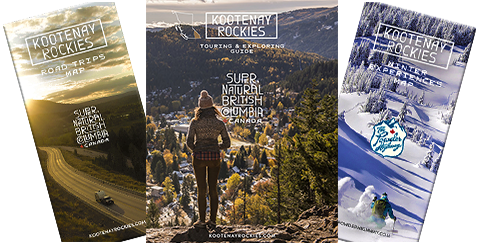 Story by a KootRocks Staffer; top/cover photo of 'The Nest', a 2.4km Hike with a 121 m elevation gain.